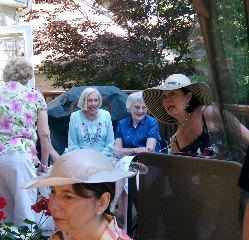 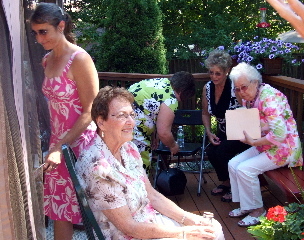 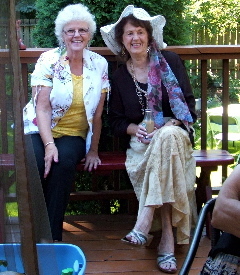 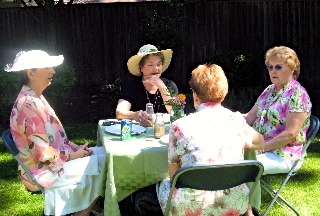 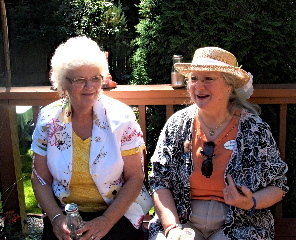 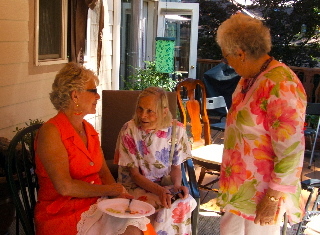 Regent Geri Borkoski hosted a Garden Party at her home for members, HODARS and prospective members. 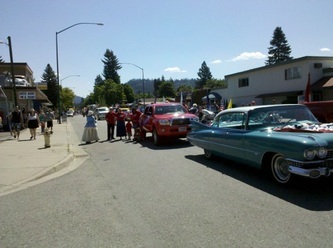 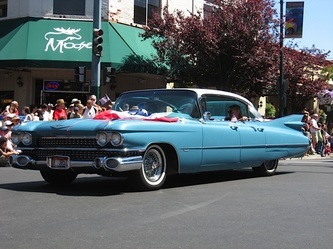 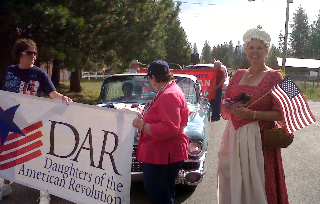 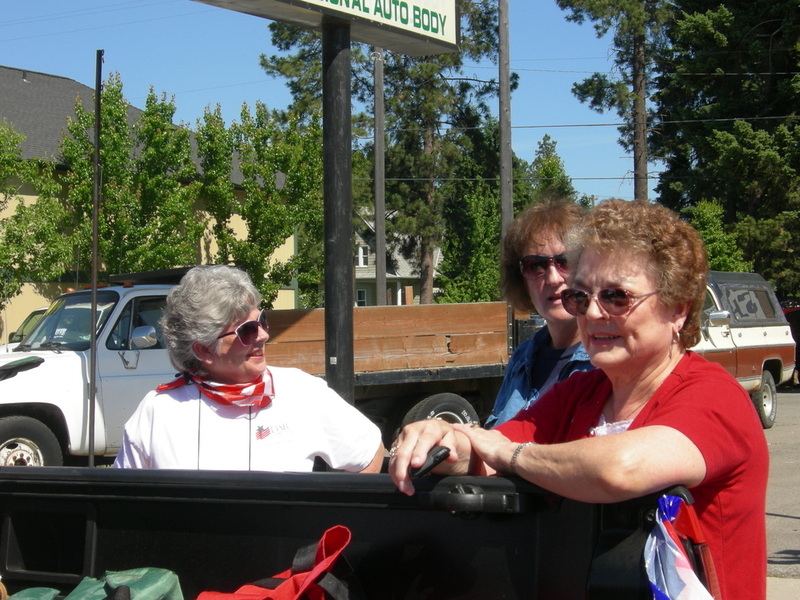 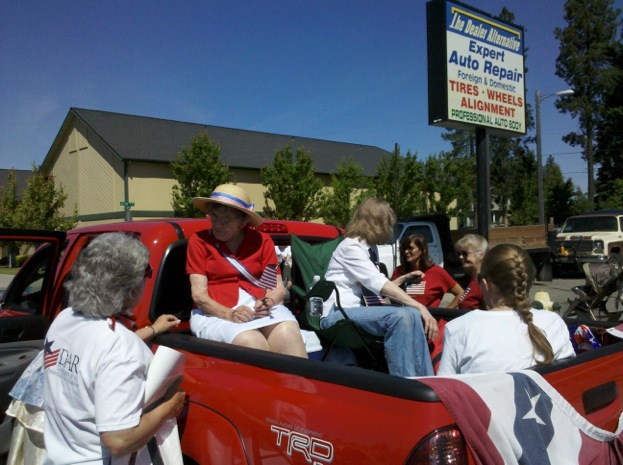 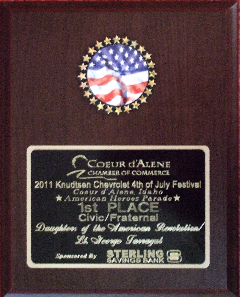 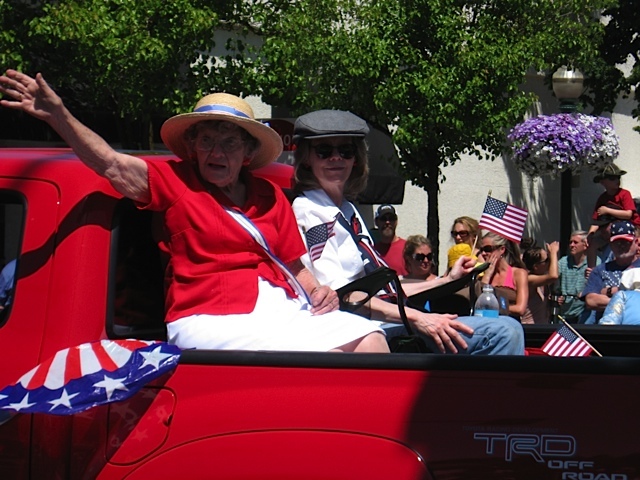 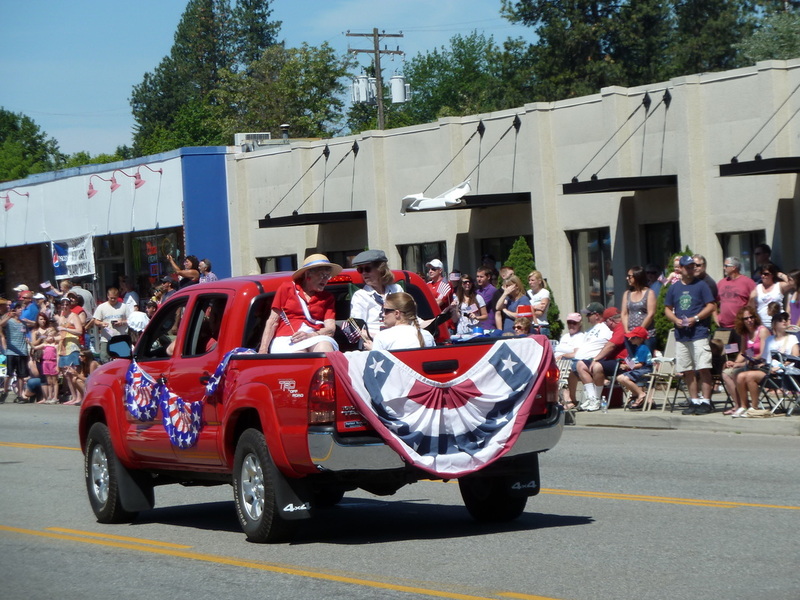 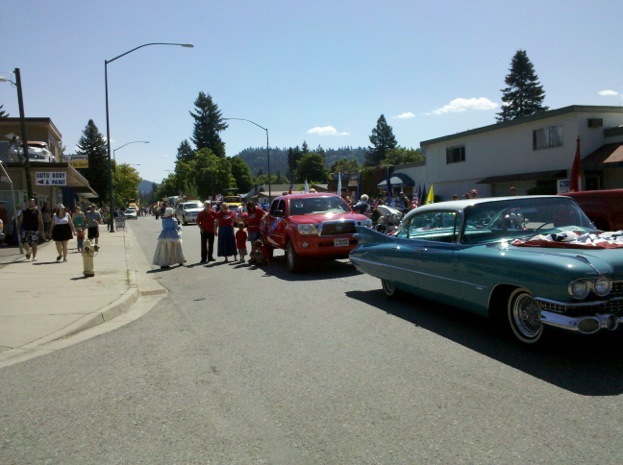 Chapter members, HODARS and friends participated in Coeur d'Alene's 4th of July parade. 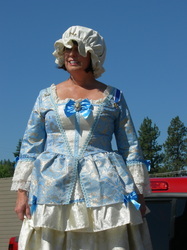 Our entry won 1st place in its category. 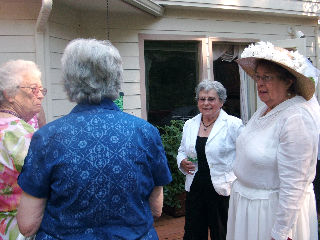 Lt. George Farragut Chapter met at the Jewett House to focus on chapter achievement and the installation of new officers. 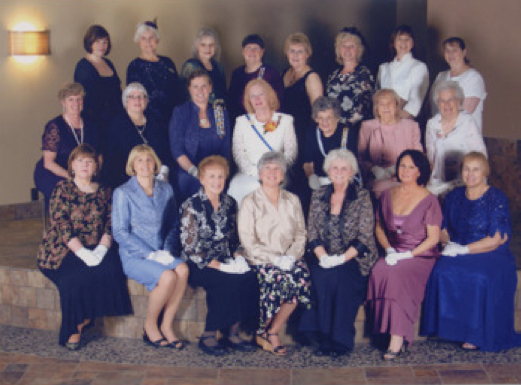 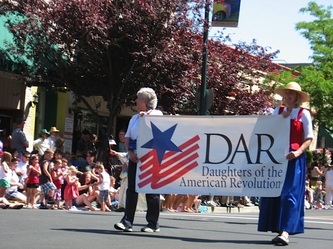 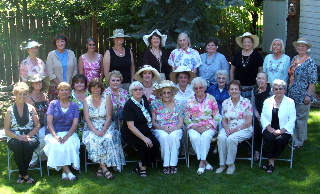 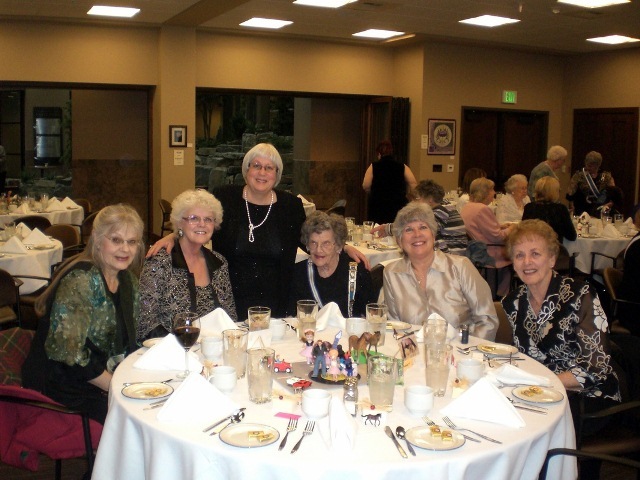 Idaho Daughters met in Sandpoint, Idaho, for the 98th ISSDAR State Conference. 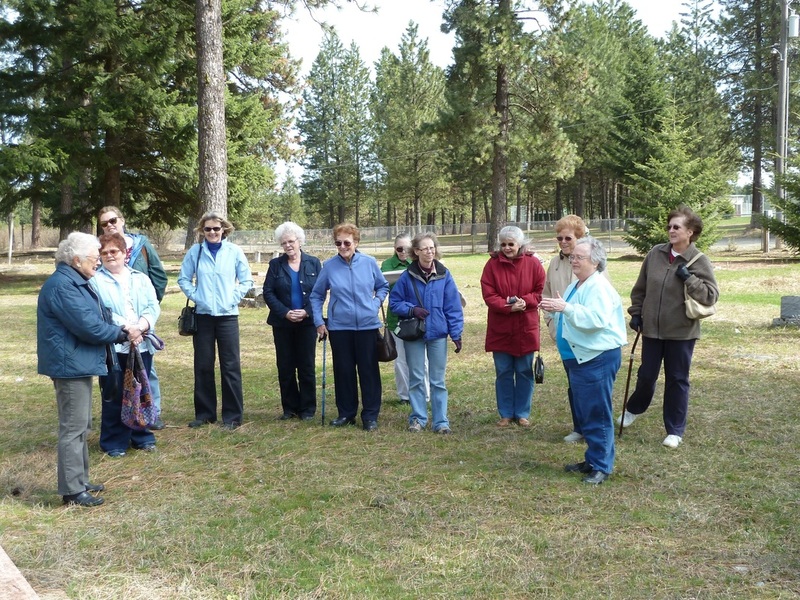 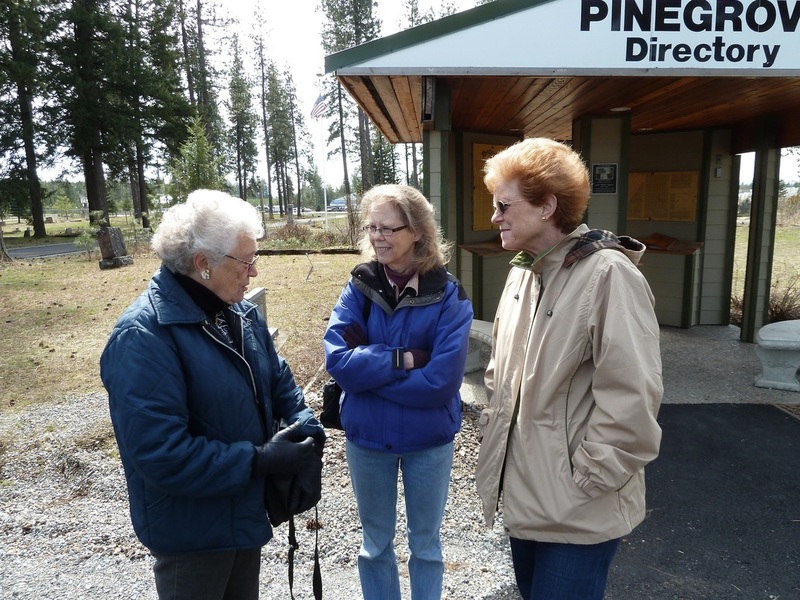 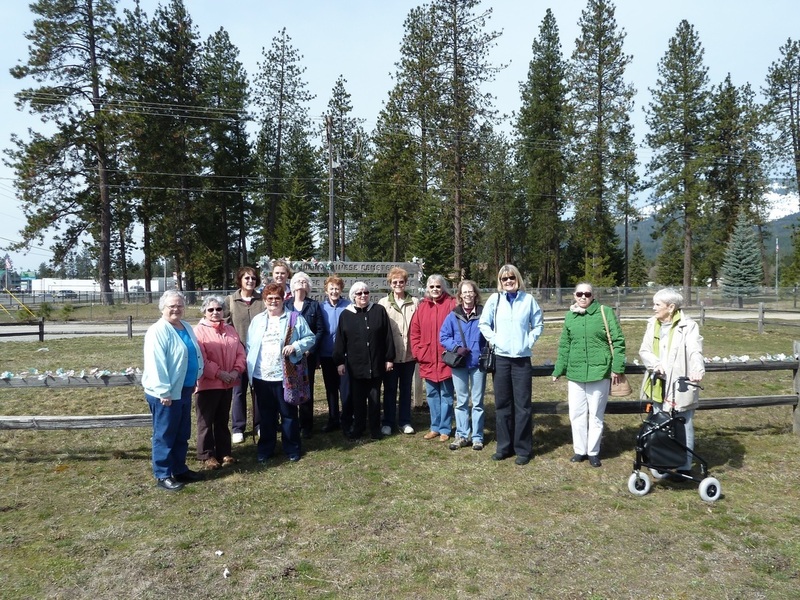 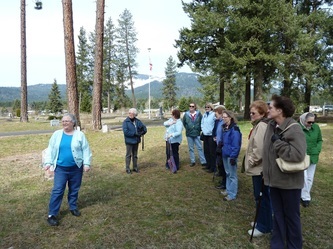 Local author Joyce Nowacki led chapter members on a walking tour of Pinegrove Cemetery in Rathdrum. 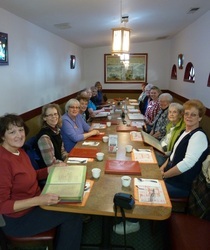 Afterward, the group enjoyed lunch at a local Chinese restaurant. 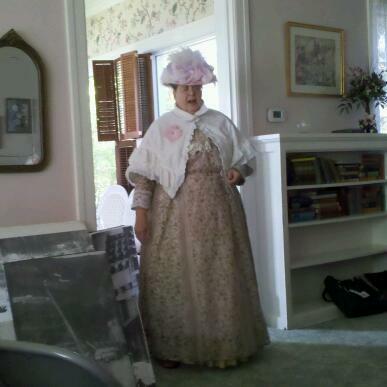 Lt. George Farragut Chapter held an awards ceremony at the Jewett House to recognize local students who participated in the DAR American History essay contest and winners of the DAR Good Citizens Award. 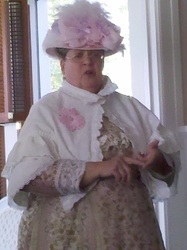 The topic for the essay contest was "Memoirs of Paul Revere." The DAR Good Citizens Award is intended to encourage and recognize the qualities of dependability, service, leadership, and patriotism. 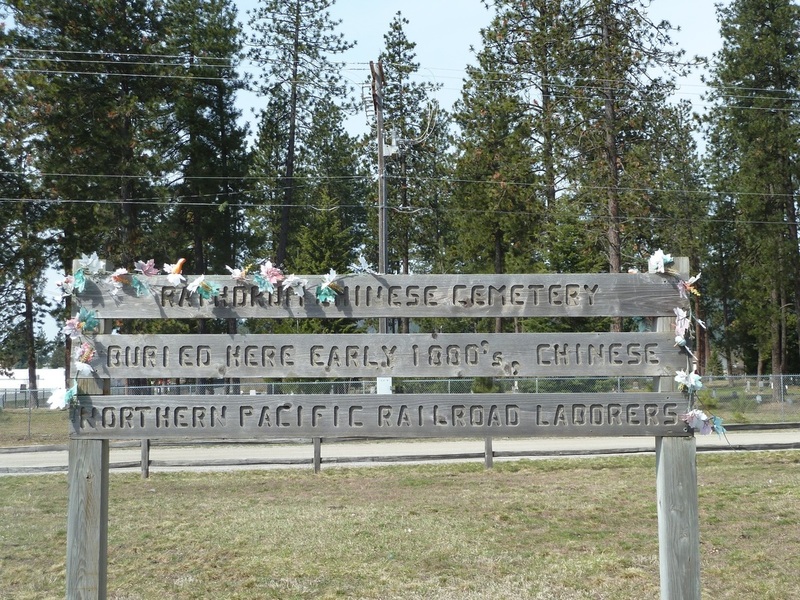 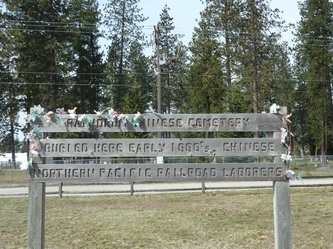 Joyce Nowacki presented a program on the Chinese cemetery in Rathdrum. 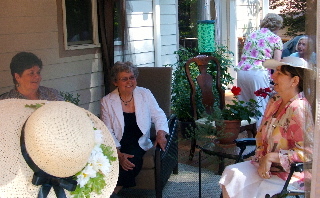 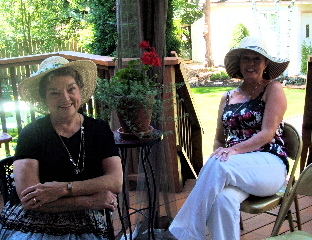 Joyce has done extensive research on the cemetery and has written an historical novel about it. 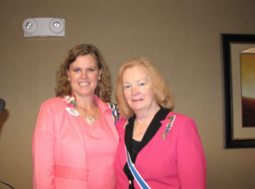 Donna Jones, comptroller for the state of Idaho spoke to the chapter on the topic "Women in Politics--Then and Now." Our January program was on "Taking Care of Yourself." Our chapter also collected food for the local food bank. Lt. George Farragut members and guests enjoyed a Christmas lunch at the Greenbriar Inn in Coeur d'Alene. 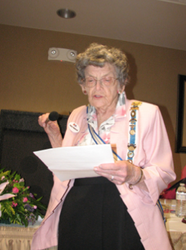 Chapter member Chickie Berrie presented a program on veteran cemeteries. Vikki Allman came from the Silver Valley to do a characterization of Mae Hutton. Mae Hutton ran a boarding house in Wallace and worked on behalf of the women's suffrage movement. She swore and smoked cigars, earning herself the title of "The Battleaxe of the Coeur d'Alenes." 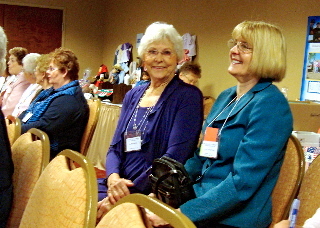 Our state regent, Diane Manweiler, visited for our first meeting of the 2010-2011 year. 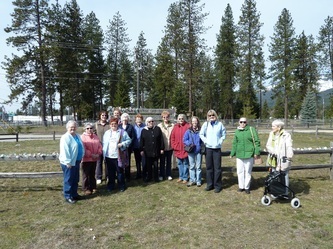 Members from White Horse Trail (Sandpoint) and Alice Whitman (Lewiston) chapters were invited to join us.